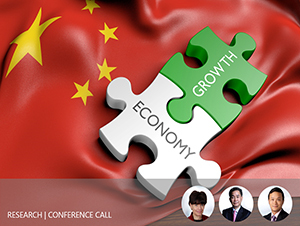 Last week on Thursday, we held a call moderated by Henny Sender of the FT with Prof Zhiwu Chen of HKU and David Lai from Premia Partners to discuss the future of China’s economy and markets. Below is a summary of the call, which covered the implications of quality vs quantity growth, SOE reform, the role of tech in China, risks on the horizon and what we expect going forward. A summary is below, or you can click here to stream it now. Henny: What is the macro outlook of the Chinese economy in the coming months? The message from Beijing has been focusing on the quality rather than quantity of economic growth even though this could mean a slower pace of GDP growth. Prof. Chen: I am too not worried about China’s economic growth in 2018. As you may know, China’s new economic leadership led by Liu He has just been formed. Liu has been an influential advisor to President Xi on economic policy and he has been given more power at the 19th Party Congress where he became one of the 25 members of the Politburo. He definitely wants to continue his focus on quality rather than quantity of economic growth. I believe he will continue his efforts to deleverage the whole economy, in particular to constrain banks and other financial institutions from issuing further debts/liquidity. On the structural reform side, the policymakers want to let the market play a more important role in economic development and resource allocation. Although these measures may put pressures on economic growth, the overall growth prospect is still manageable and controllable by Liu’s team in 2018. Henny: Supply side reform and over-capacity reduction contributed to the profitability of many SOEs, reduced the burden of their debts and contributed to reasonable inflation last year. Do you expect such policy to continue in 2018? Prof. Chen: I don’t expect the over-capacity reduction efforts to continue at the same magnitude and pace as in last year because there are already lots of complaints from mid-/down- stream companies saying that their input costs have gone up so much. From what I have seen and heard, the over-capacity reduction efforts may be somewhat trimmed this year. The outcomes of these measures were indeed all set out in the original plan. Many upstream companies like coal, steel and aluminum producers are SOEs. If the prices of their outputs can be lifted through capacity reduction, their profitability could turn around and the solvency of banks and financial institutions that have lent them money could also improve. Despite the great results seen last year, I don’t expect such policy will continue at the same magnitude and pace in 2018 as it is at the expense of mid-/down-stream companies. Henny: We have seen a very healthy increase in profit in many companies. In some cases, some industrial SOEs have posted record profit. How reliable are the numbers reported by Chinese companies from your point of view, in particular those reported by SOEs? Prof. Chen: I would treat SOEs differently from private enterprises. I was on the Board of Petro China for 6 years until May 2017. From my experience, I see no incentive for the Petro China executives to manipulate earnings. I don’t see incentive too for other central government SOEs to manipulate the numbers, even though they might negotiate with the MoF to smooth out earnings through special tax treatment. Nevertheless, private enterprises especially those listed in Hong Kong and the U.S. have higher incentive to inflate the numbers so as to boost stock prices for personal benefit. That’s why I would treat SOEs differently from private enterprises even though I am not a big fan of SOEs myself. David: I just wanted to add one point to Prof. Chen’s comments - there is one particular reason for A-share companies to jet up the numbers, i.e. if any A-share company record loss for 2 consecutive years, their stocks will be labelled as special treatment (“ST”). This is harmful to the liquidity of their stocks as many mandates are not allowed to invest in ST companies. Henny: Many of the companies in your Bedrock Economy ETF (2803 HK) are SOEs. How do you screen out companies that might be of concern? David: That’s true - roughly 66% of the companies in Bedrock are SOEs, of which half are central government SOEs and the other half are local. But it is worth noting that SOEs are not necessarily bad investments – it really depends on timing. The SOE reform which includes changing shareholder structure, spinning-off non-core assets and calling for more innovation is a highly prioritized government policy this year. If we look at the MoF data, the profit of SOEs rose 23.5% last year and that of local government SOEs went up even more by 37%. Also, SOEs have been trading at lower multiples than private enterprises. Having said that, there are some low-quality SOEs that we need to screen out from investing. For Bedrock, we look at debt coverage, accruals, net operating assets, cash ratio and profit margin of related companies. By doing this, we can screen out companies with high gearing, potential manipulation and low financial stability and margin. Prof. Chen: Let me add one quick point – several years ago I taught MBA students in an emerging market course at Yale University. In that course, we worked on whether one should invest in SOEs or private enterprises. The students studied companies from different countries, including those from U.S., Canada and France. They found that performance of SOEs in DMs may not be as good as private enterprises but in an EM like China since SOEs are monopolizing in some areas, they are able to enjoy very good earnings growth. The student reports all indicated that the return of these SOE stocks is less volatile and more predictable even though they will not make you as rich as investing in Tencent. Henny: The Chinese leadership has also been emphasizing on improving the quality of economic growth. How would you assess this economic transition? Prof. Chen: There have been some successes in China’s economic rebalancing but not to the extent that many economists who are advising the government would like to see. The share of services sectors grew steadily in the past few years and dependence on foreign trades has been stabilizing too. But Beijing economists have realized that to change the economic structure of Chinese economy, innovation and tech-related services are the keys. Therefore, investors should go with the policy direction of central government and focus on related industries. Henny: The flip side of tech innovation is disruption. How do you look at tech innovation in China? Is it a double-edged sword or a total game changer? Prof. Chen: The VC/PE industries have been booming in China. I think the main reason is China has learnt so well from the Silicon Valley and NYC community. I would say capitalism is adopted in its best way in China. With the high incentives in the VC/PE industries, China’s high-tech areas resemble their counterparts in the Silicon Valley. In comparison, none of the European countries or Japan has learned that well from the Americans. Henny: So far, we have seen most Chinese tech companies list outside China. Today are there opportunities in the A-share markets that are attractive for investors who believe very strongly in the new economy? David: Before, a lot of tech companies chose to list in the U.S. because of the dual-share listing class system which enables their founder to control the company by holding only small stakes. But this is changing now. Some of the companies we are meeting are considering Hong Kong and A-shares as their listing market due to the ongoing regulatory changes. Some U.S. listed Chinese companies have even privatized and listed in the A-shares market as they can get closer to local customers and investors who they believe can better judge their prospect and valuations. When we talk about new economy areas in the A-shares market, we are not necessarily talking about only internet plays. Most of the leading internet companies like Baidu, Alibaba, Tencent are all focusing on e-commerce, search engine or gaming. But these are only small parts of China’s economy. Other areas like robotics, automation and AI are all emerging as well. Demand for consumption upgrading and health services are also picking up. These areas should also be considered as new economy areas in China even though some of them are being regarded as matured sectors in DMs. Henny: So do you see overlap between Bedrock (2803 HK) & New Economy ETF (3173 HK)? For instance, Midea and GREE are large profitable companies but are they also consumer plays? David: There could be overlap between Bedrock & New Economy because the latter focuses more on consumption, technology and healthcare sectors whereas Bedrock doesn’t have any industry preference. Some names do appear in both ETFs. Also, companies like Midea/GREE are rapidly evolving themselves too – they grew from tiny private enterprises decades ago to national-wide or even global companies currently. Now they are also tapping into advanced areas like IoT. Such evolution is ongoing and I see very good potentials in these companies. Henny: Can you also talk a bit about the healthcare industry as well? David: The healthcare industry has been changing a lot due to ongoing medical reforms, rising up of middle-class and increasing demand for quality medicine and healthcare services. We are seeing increasing number of healthcare companies listing in both offshore and onshore China but in terms of the number of stocks that investors can choose from, it is definitely higher in the A-share market. For example, Hengrui, one of the largest healthcare companies in China, is only listed in the onshore market. So if investors want to invest in Chinese healthcare companies, they should not limit themselves to offshore Chinese stocks. Meanwhile, we are seeing Chinese healthcare companies spending more money in R&D. In the beginning stage, Chinese healthcare companies just copied what was available in the Western world - they just slightly changed the formula and sold the products in China. What they are doing now is quite different: 1) they are innovating brand new products and selling them in China 2) they are also changing some formula that are already very common in the Western world, but by doing it in a more cost-efficient way they sell it back to Europe or even in the U.S.
Henny: Do you worry about regulatory risk facing tech companies like Tencent due to the criticism from Beijing that children are spending too much time on games? Prof. Chen: Of course there is a bit of such regulatory risk as the policymakers are somewhat unpredictable and private companies don’t have much opportunity to respond publicly, even though they have spent much time to lobby the government privately. But companies like Tencent and Baidu are now the bedrock of China’s internet industry. I don’t think the big players that are almost in monopolistic positions will be subject to policy containment. In the U.S., Facebook is facing increasing pressures from politicians and society to do something to cut down children’s time spent on Facebook. China might follow suit to some extent. But again I don’t expect the big boys will suffer much, but new players might subject to more hurdle than before though. Henny: What about the risk of the build-up of debts in China especially from the shadow banks and Fintech companies? Prof. Chen: I would separate China’s debts into 3 categories: 1) government debts, including those of local government and SOEs; 2) private corporate debts; and 3) private household debts. I don’t think private corporate and household debts are a problem. They are minor. Government debts are somewhat problematic but if the fiscal position of government remains okay these debts will be fine. Meanwhile, the tight control of capital outflows gives policymakers more time to address the debt issues. So at least for 2018, I do not worry too much about this. Henny: What about the risk in the property market which accounts for a high percentage of China’s GDP? Do you see the risk of over-tightening? Prof. Chen: Such risk does exist but at this point, the risk is not so high due to the strong control of capital outflows I mentioned earlier. Now average people basically have no way to get their money out from the country. The question we should ask is where they will put their money. They can only choose from the stock market, property market or WMPs. That’s why I believe the measures limiting the number of apartments that one can purchase may be relaxed later this year. Henny: Are there any other risks that you are concerned about? Are you worried about RMB depreciation? Prof. Chen: As long as the strong control of capital outflows still in place, I don’t think RMB exchange rate could go down too much as again people have no way to move money out practically. Henny: HKEx Chief Executive Charles Li commented in the Asian Economic Forum early this year that QFII, RQFII and Stock Connect will continue for many more years. Do you agree with that and what do you think the implications are for fund flows? David: The opening of capital markets has always been on the policy agenda since the debut of QFII a decade ago. Some investors may have expected QFII to be followed by complete opening up, but what we’ve seen instead is the launch of new programs like RQFII, Stock Connect and Bond Connect. All these programs are running very smoothly, and we don’t expect any sudden change in direction as the opening of capital markets is still on the agenda. It will be gradual and measured and will take some time. Going forward, we might see the roll out of ETF Connect, by which onshore investors can invest in offshore ETFs and vice versa. Henny: January was an extraordinary month for China’s stock markets. Some brokerage reports even said QE tapering is a non-event and financial conditions tightened only because of US Dollar. Do you think the rest of year will be a continuation of January or do you see a reversal of trend? David: January was a very good month for both Developed and Chinese equities. You may treat U.S. tax reduction as fiscal version of QE - liquidity released from tax reduction will support global equities too. It is true that some money may repatriate back to the U.S. but if we look at China now, supportive factors like strong macro data, stabilization of RMB exchange rate and capital outflows are all still in place. Chinese equities are trading only at mid-teen price-to-earnings, lower than most global markets. For the onshore market, one potential catalyst is MSCI inclusion which will take place in June and September this year with real money flowing into A-shares markets on a semi-permanent basis because of the inclusion. Therefore, I remain positive on the outlook of Chinese equities. Henny: The Chinese market is a huge market but it differs from Developed Equities. For example, retail participation in China is extraordinarily high. Does it mean smart beta would work better in China than in other DMs? David: This is a very interesting question. China’s investor structure is very different from the U.S. - in the U.S., more than 70% market participants are institutional investors but in China more than 80% are retail so investor behavior is very different. This also means that China A-share market is very inefficient. According to our advisor Dr. Jason Hsu, alpha potential improves in both active management and smart beta as investors move from efficient to less efficient markets. Smart beta captures the same inefficiencies as active management, which is why we believe that smart beta can work well in A-share markets. Jason and his team at Rayliant Global have done extensive research on the A-share market using data from the past 20 years. They found that some commonly used global factors such as low volatility, value and quality work very well in the A-share market while others, like momentum and dividends as a stand-alone factor, don’t. We were able to use that research and implement it in our ETFs with the goal of generating alpha in A-shares over the long-term.